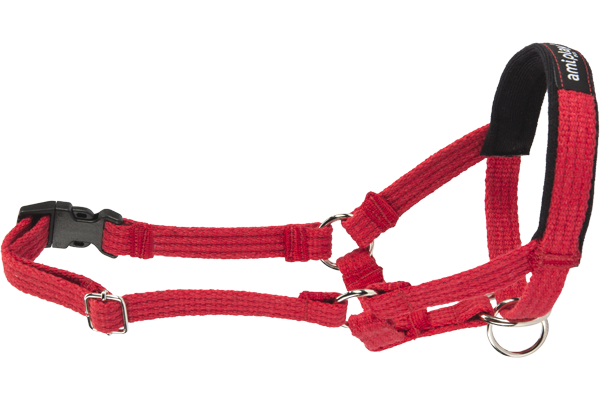 Made from extremely tough yet soft cotton, these halters are ideal for most breeds and sizes of dog. Available in a range of 3 colours and 5 sizes. The soft cotton with additional soft padding also increases the level of comfort for the dog without any of the abrasive side effect of nylon. The metal loops, rings and clips are welded for added strength and given an anti-corrosive layer. The tough plastic snaps are made from frost resistant elastic material. Add a fantastic 3 year warranty to all of this and you have the very best halter money can buy! 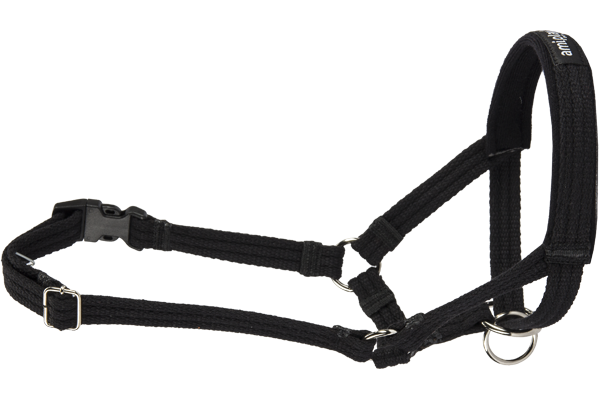 The Ami Play Halter is a form of head collar, worn around the muzzle and the neck. 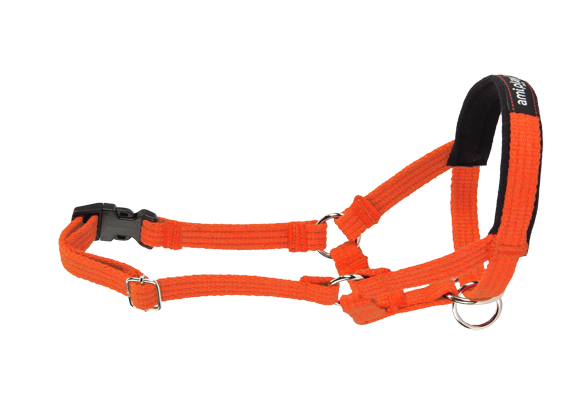 It is an accessory and a training aid that helps to correct dogs who have tendencies to tug, pull on the leash, stray suddenly from the path. 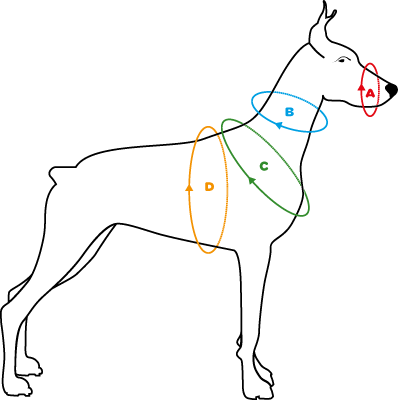 It does not apply direct pressure or brute force but uses the dogs natural desire to follow the direction of eyesight. It does not restrain the dog in anyway but helps the owner to communicate with the dog and correct unwanted behaviour when necessary. 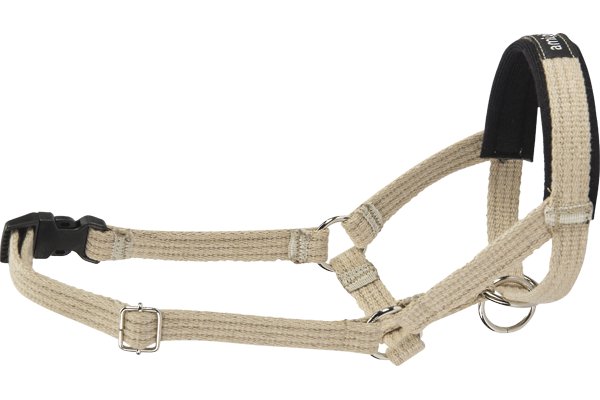 The top part of the halter covering the muzzle is padded with high quality material this allows the halter to cause no irritations to the dogs skin.